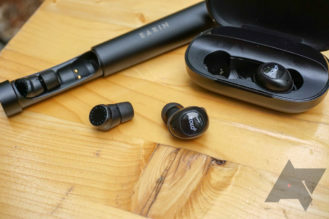 Swedish company Earin was one of the frontrunners in developing true wireless earbuds, releasing the M–1 back in 2015. That first generation product had its fair share of issues, ranging from unreliable Bluetooth connectivity to unsatisfactory battery life. The startup that was recently acquired by Will.i.am brand i.am+ is now back with a follow-up it hopes will rectify some of those complaints. 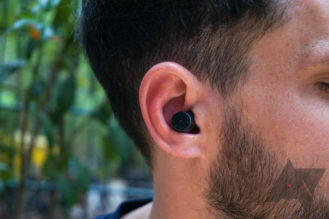 Unlike its predecessor, the M–2 can’t quite claim to be the world’s smallest true wireless earbud anymore, but it does offer a combination of Bluetooth 4.2 and Near Field Magnetic Induction (NFMI) for connectivity, support for AAC, aptX, and SBC, and intelligent noise reduction thanks to 2 microphones on each side. 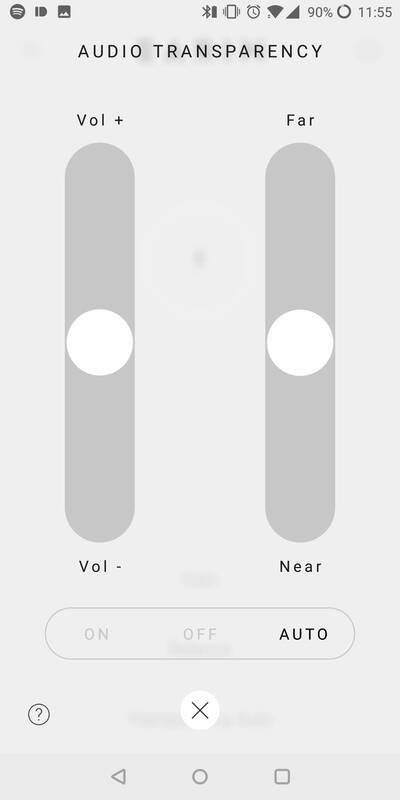 Both earbuds are identical, so there’s no need for left and right designations — both are capable of being the Bluetooth master and both have the same single touch control area. 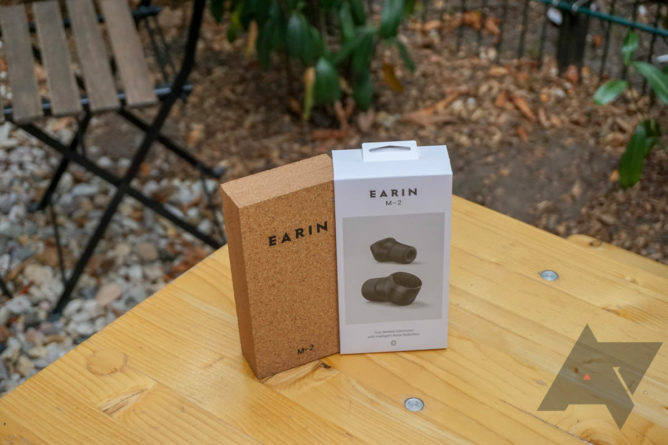 The design and build quality of the Earin M-2s is nothing short of excellent. They’re absolutely tiny compared their most of their established competitors and coupled with how light they are (4g each), this makes them very comfortable during long periods of use. 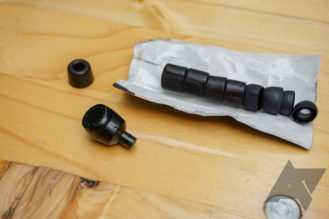 Four different tips are supplied (two silicone and two foam) and although I’m not used to foam tips, the larger of those two ended up giving me my best fit. The smaller ones worked well in the right but wouldn’t seal in the left — perhaps I just have a weird left ear. 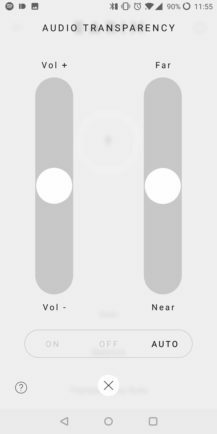 The touch controls can be praised for their simplicity and ease of use, but rivals do manage to cram more options in, such as volume. 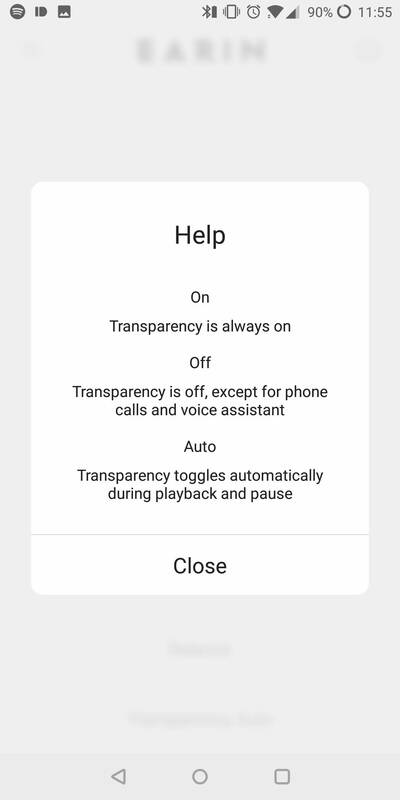 A single tap plays/pauses or answers calls, double touch skips a track or hangs up, a triple tap goes back a track, and a long press will activate the Google Assistant. The four microphones, one inside and one outside each earbud, also offer intelligent noise reduction. Cancelation is fine once you have a good enough seal, although it’s nowhere as good as what you’ll get from a pair of over-ear headphones from the likes Bose or Sony. I probably expected a little more from this feature, but it’s still better to have it than not. The same technology is supposed to enhance phone calls, but we’ll get to that in a bit. Something so many others get wrong is the charging case, but thankfully Earin has done it the right way. It’s long and thin, fits nicely in my pocket, and feels sturdy with its aluminum build. One slight issue is that the anodization my chip with time — at least it looks great to begin with. Some will be disappointed to see Micro-USB (and the incredibly short cable supplied), but the company told me this was to keep the size of the case down, and I honestly don’t mind that much. Maybe. 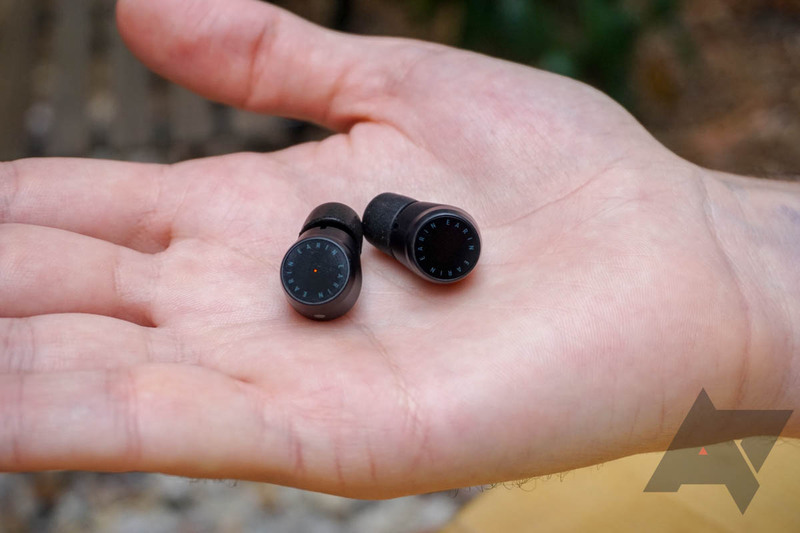 If you want a pair of inconspicuous true wireless earbuds with good sound and half decent noise cancellation then these could be what you are after. 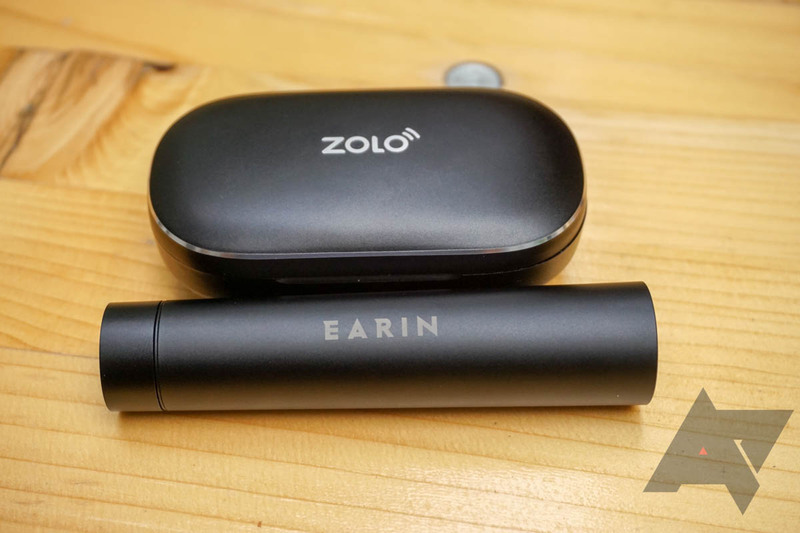 The connectivity is pretty reliable (unless you take one earbud out a lot), they’re comfortable and well-made, and the case is one of the best around, easily fitting into your pocket while also looking good. Overall the sound is pretty impressive, owing something to the Knowles Balanced Armature drivers that Earin is using. The sound is balanced, warm, and the bass is beefy without being overpowering. Although this does rely entirely on how well you fit them in your ears. The M–2s will suit most casual music listeners and are good for podcasts and spoken word, but with no advanced equalizer settings, audiophiles might be dissatisfied. 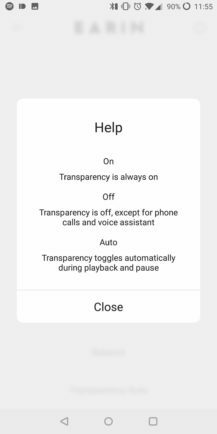 The audio transparency settings available in the app aren’t that powerful and the sound that is passed through sounds particularly tinny and strange. Pairing is quick and easy, and once in your ears, the Bluetooth connection is perfectly reliable. I think I once noticed a cut out while I was walking down the street, and can probably chalk that up to some sort of radio interference. I did have occasional issues when taking just one of the earbuds out, though. If the NFMI range is exceeded I found the second earbud would sometimes fail to reconnect when I replaced it, at which point putting one or even both of them into the case to reset them was the only solution. The use of a special type of NFMI called MiGLO, developed by NXP, might be occasionally problematic, but the reason Earin implemented it was to solve one of the major downsides of most true wireless earbuds: unbearable latency while watching videos. 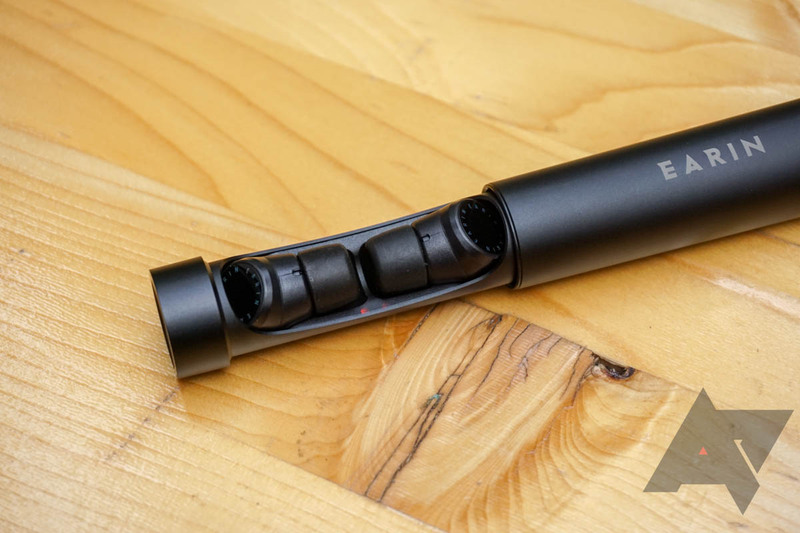 The greater reliability afforded by NFMI over a traditional Bluetooth only connection (between the buds) allows for video playback with no discernable audio delay, and that can’t be said of many other products of this kind. The strangest connection quirk I encountered was when both earbuds decided they wanted to be the master. One connected to my phone to resume my podcast, the other to my Macbook where it started playing music on Spotify. A serious criticism of the original M–1 was call quality, and sadly the situation hasn’t improved. Calls sounded fine for me, even with the weird sounding audio transparency, but during each call, the recipient would complain that I was almost impossible to hear me over the background noise. I tested this with regular phone calls, WhatsApp calls, inside my quiet apartment, outside on a busy street, in a shop — regardless of the circumstances, the result was sadly always the same. 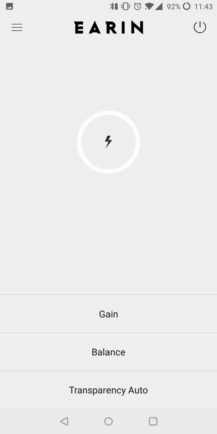 Google Assistant works well enough, although I do have one gripe with the activation process. You can hold down for as long as you want, but you won’t get any audio feedback until you let go. 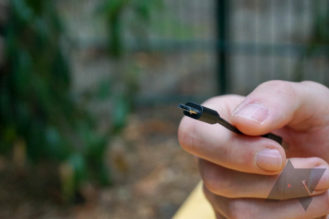 This is frustrating because it means you don’t know exactly how long to hold it — not long enough and you’ll simply play/pause your media — but also because when you do let go, you then hear a short beep from the earbuds followed about a second later by Assistant’s own little jingle. This is maddening, but something that could maybe be fixed with a firmware update. Earin advertises up to four hours of battery life, but I’ve been consistently getting well under 3 hours and I don’t believe I’ve been pushing them much beyond what the average user would be likely to. I was able to get another 2-3 full charges from the case, but if you’re going on a journey that’s longer than 3 hours, you’ll lose your soundtrack before you reach your destination. As with many of these earbud products, there’s an accompanying app on the Play Store. It’s got some useful help features, such as guides and built-in support chat, and it allows you to rename your earbuds. The main screen is a little bare-bones, though — it’s supposed to show you the battery level for each earbud, but instead just shows a battery circle with no percentage. 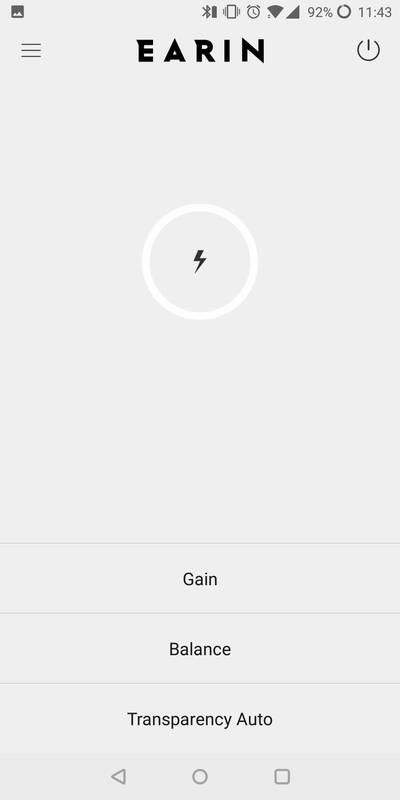 The gain option doesn’t do anything other than alter the system volume of your phone, but the balance slider could be useful even though the master automatically switches to mono when you remove the secondary earbud. 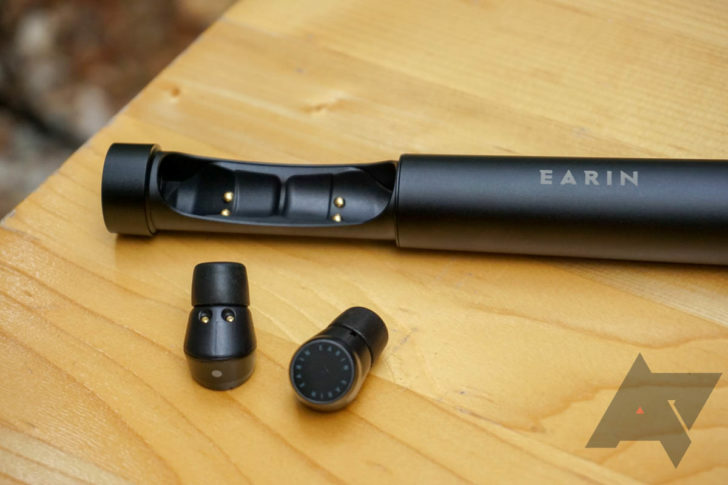 The Earin M–2 earbuds are far from perfect, however, as they aren’t much good for making phone calls, they suffer from worse than advertised — and worse than their rivals — battery life, and will occasionally bug out requiring a reset. There’s certainly a trade-off for the incredibly small form factor, and that seems to be lack of longevity and insufficient microphones. These are not compromises you should have to face when forking out $249 (€249, £219), and although some of the issues won’t affect certain people so much (those who won’t be making calls, for example), it’s hard to recommend the outlay for most — even if my overall feeling towards the Earins is a positive one. you want decent sounding true wireless earbuds. 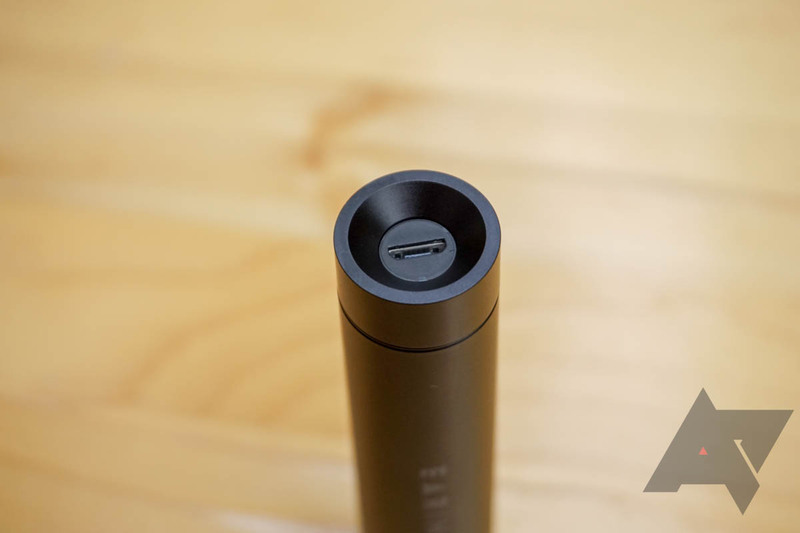 you want them to be stylish and small, with a pocketable charging case. you’ve been looking for a pair that doesn’t suffer latency issues with video and games. you regularly make phone calls with your earbuds. you need stellar battery life for long trips.